What is the essence of quantum mechanics? Expositors of quantum mechanics always argue that the theory has something mysterious that is not present in previous theories. For example, Seth Lloyd called it quantum hanky-panky. But what is it? Usually it is called entanglement. And that is compared to Schroedinger's cat being alive and dead at the same time. However there is no proof that a cat can be alive and dead at the same time. What we do have is situations where we do not know whether the cat is alive or dead, and we don't need quantum mechanics for that. No, the essence is that states cannot be equated with observables. And that is because observables do not commute. If position and momentum commuted, then they could be measured simultaneously, and maybe you could talk about an electron state has having a particular position and momentum. But they do not commute, so position and momentum depend on how they are measured. Any mathematical description of the (pre-measurement) state of an electron must allow for different measurement outcomes. 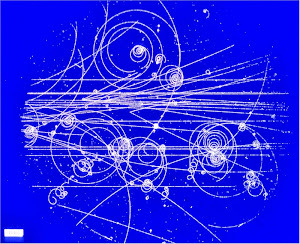 Now, the "quantum mechanics is non-local" crackpots love to say not only crazy things about the extra non-locality of quantum mechanics – which I have thoroughly debunked in many previous specialized blog posts – but they also love to present the quantum entanglement as some absolutely new voodoo, a supernatural phenomenon that has absolutely no counterpart in classical physics and whose divine content has nothing to do with the uncertainty principle or the nonzero commutators. Aside from the consequences of the nonzero commutators – i.e. of the need to use off-diagonal matrices for the most general observables that may really be measured – there is simply nothing "qualitatively new" in quantum mechanics. Whoever fails to understand these points misunderstands the character of quantum mechanics and the relationship between quantum mechanics and classical physics, too. Where I differ from LuMo is in the likelihood of quantum computers. The premise of the quantum computer is that nonlocal quantum voodoo can be applied to do super-Turing computations for us. Somehow an electron has to be in two places at the same time, doing two different computations. 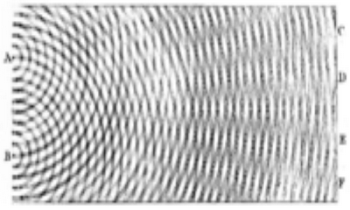 If you believe that the cat can be alive and dead at the same time, then it is not much of a stretch to figure that a qubit can be in multiple states doing different computations, possibly in parallel universes, and assembling those results into a final observable. But what if the quantum voodoo is just an algebraic consequence of the fact atomic-scale measurements depend on the order of the measuring? You can put a pair of qubits in a entangled state where measuring one and then the other gives a different result from reversing the order. That is a consequence of observables not commuting. I accept that. What I do not accept is that those qubits are doing different computations simultaneously. Scientists and engineers around the world are quietly working on the next generation of machines which could usher in a new age of computing. Even the fastest supercomputers today are still bound by the system of 1's and 0's which enabled the very first machines to make calculations. But experts believe that drawing on the strange properties of the quantum world can enable computers to break free from these binary shackles, creating the most powerful problem-solving machines on the planet. Now, according to New Scientist, researchers at Google may announce a breakthrough as soon as next year, potentially reaching what the company terms 'quantum supremacy' before anyone expected. If achieves quantum supremacy next year, I will have to admit that I am wrong. I may then have to defer to Motl and Aaronson. But I doubt it. Mr.Schlafly----My names is Edward Bradford. I worked at Borland in 1987, in educational sales. I wanted to express my sorrow for your loss of your mother. I will include her in my prayers.